A heavy and droopy brow area can cause hooding of the upper eyelids resulting in a sad or tired appearance. Reasons for droopy eyelids can vary, however the most common cause is age-related. As the brows fall lower on the forehead, treating the eyelids alone will not provide a pleasing or natural appearance. A common procedure to relieve this issue is a surgical brow lift. Although surgery is an option, not everyone is ready to take the plunge or can afford the downtime associated with surgery. Depending on the patient, a moderate Brow Lift can be achieved non-surgically. By carefully placing Botox in the muscles that depress the brow, which are the corrugator muscles, can allow the brow to rest and relax in a lifted position. If one muscle is pulling your brows downward, and the other is elevating the brows (the frontalis muscle), the idea is to paralyze the muscles that pull downward while leaving the ones that lift the brow untouched. One big advantage is that the treatment doesn’t require any downtime. The procedure is quick and minimally invasive, however is not permanent and requires maintenance treatments every 3 to 4 months. If your brows droop or sag due to muscle movements, you’re likely to see better results from Botox than if your brow problems were related to a loss of fat in the forehead and in the eyebrow region. Younger people have a natural fullness to their brows. With age, this decreases, and the brows slide downwards. Injections of facial fillers such as Restylane, Juvederm or Teosyal beneath your brows can elevate sagging skin and restore a natural brow position. To lift the tail of the brow, dermal fillers can also be added in the temple area. A combination of Botox and dermal fillers will provide impressive results. While these treatments initially cost less than surgery, the results are not permanent, and touch ups will be required every 3 to 6 months. 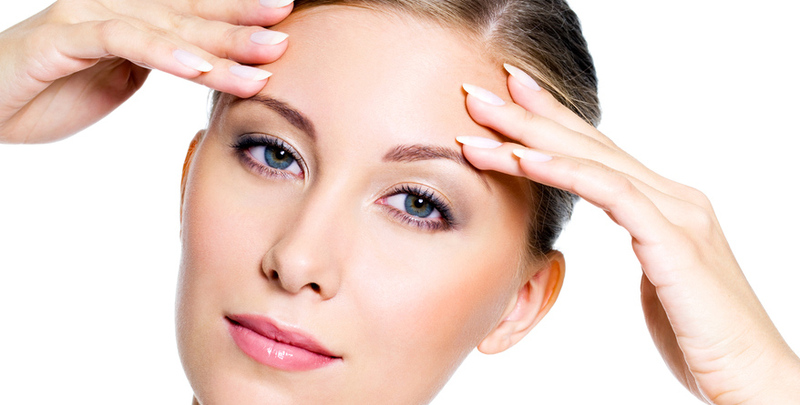 One more non-surgical brow lifting and skin tightening procedure is Ultherapy. Ultherapy is a longer lasting, non-invasive procedure that uses ultrasound and the body’s own natural healing process to lift, tone, and tighten loose skin. Consulting with Dr. Ellis at Lasting Looks Clinic in Toronto can determine the correct approach for your personal requirements in regards to a Brow Lift.